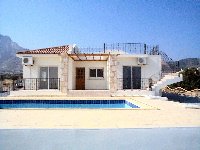 Homeowners should be aware of the TRNC Property Rental Tax. The law was apparently enacted in 1982, but has been subject to neglect and has not been widely publicised, let alone enforced. The tax regime is relatively straightforward, as opposed to the complexities of eligible expenses which bedevil UK Property Rental rules. Owners of rented property should pay 10% of the gross income to the TRNC Revenue and Tax Office on a monthly basis and by the 15 th of each month. This means that if a property is let at £400 per month, then regardless of the costs of advertising, linen changing, pool cleaning etc, tax at £40 is payable. To date, very few property owners have registered with the Revenue and Tax Office. We are told that in the Kyrenia area, some 40 people were on the register at the start of 2007. Enforcement measures are now being introduced. These are the customary techniques used by tax collectors and include perusal of rental adverts in the press and on websites, information from utility companies where a tenant has asked for charges to be transferred to their name, and tip offs from malevolent persons. Dawn raid style swoops on property management companies are not on the agenda, but this may change in the future. All property owners would be advised to consider registering for the Property Rental Tax. If the property is let on a weekly basis during the summer season, then provided a modest declaration of income is made, the property owner is unlikely to receive unwelcome scrutiny from the authorities. 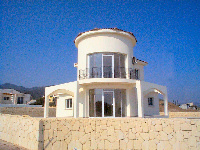 Owners who spend very little time in TRNC and let the property via professional management companies should consider their position carefully.